As is visible from my puffed up chest, I’m quite and entirely satisfied with myself in that the only parts I had to purchase in frankenshtein’ing El Naranja together was a set of crank bolts (and, yeah, that fantastically fantastic headset press tool I DIY’d if you wanna be picky). And the only reason I had to shell out money for the bolts is because I couldn’t remember where I’d stored the spares I know I have around here somewhere. The one thing I didn’t buy despite a desperate need for it was handlebar tape, but I figured I’d make the excessively ratty and rapidly decomposing existing wrap work out for as long as I could. Turns out there was a subconscious reason why I didn’t buy any either: I already had some. See, whilst making a an after-the-fact twelfth meaningless and futile rifle through the completely unorganized Box O’ Bike Stuff, where I could swear the crankbolts are supposed to be in (but still aren’t), I instead found something better: what’s easily a 4-year-old brand new package of bar tape purchased three bikes ago when The Phoenix still roamed this earth. What hangs around goes around! PS. I’m still on the hunt for those crankbolts, dammit! 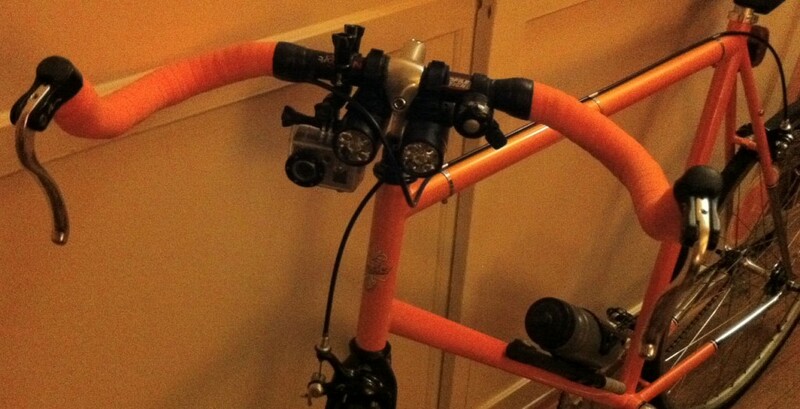 This entry was posted on Monday, November 7th, 2011 at 6:13 pm and is filed under biking, DIY. You can follow any responses to this entry through the RSS 2.0 feed. Both comments and pings are currently closed.